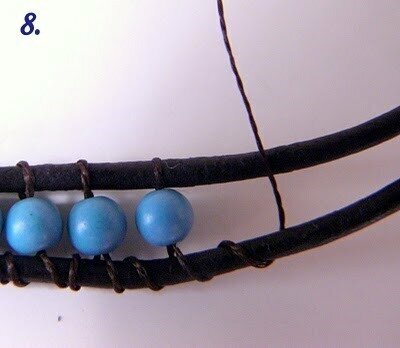 Unusual leather bracelet with beads can be guided by a master class below. 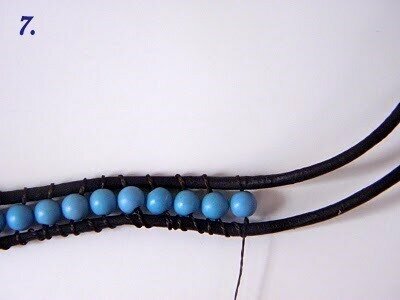 You will need - leather cord length of 1.5 meters, beads with a diameter of 7-10 mm, large buttons, glue beads (if there is). 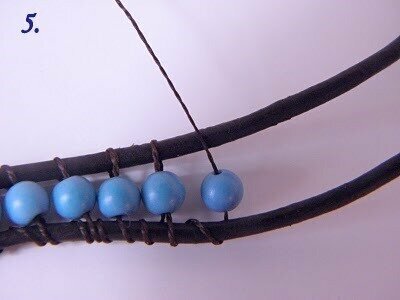 Fold the two cords together and tie a knot at 10 cm from the edge. 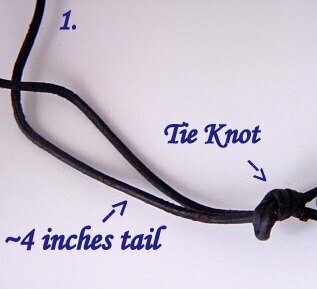 Put a button on one of the cords and tie a knot below. 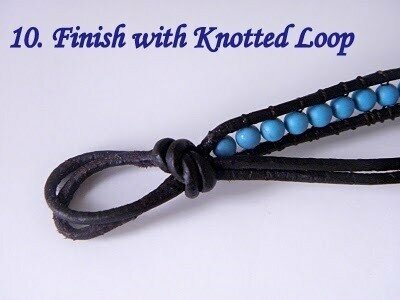 Tie needle to thread a double knot to keep it from slipping. 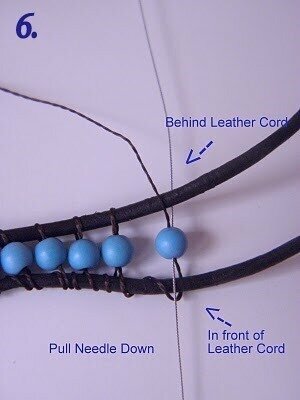 Now tie a double knot the thread to the bottom leather cords and start stringing beads. 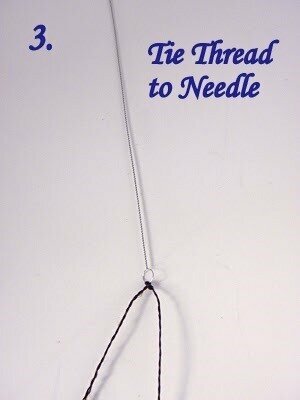 On one side of the thread is wrapped around the cord with a two-fold shift, and on the other hand - once. Try to give a good yarn tension, but not over-tighten. 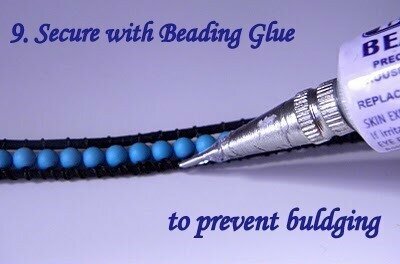 Wrapping thread the upper thread the cord thread back to the same bead. 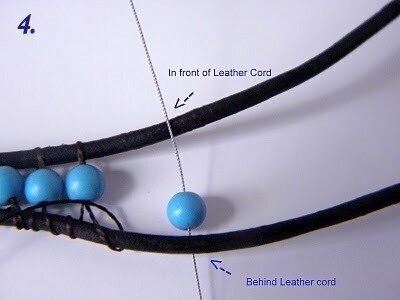 Now wrap the lower cord twice with a small indentation. but in general, with sufficient tension can be done without sizing. 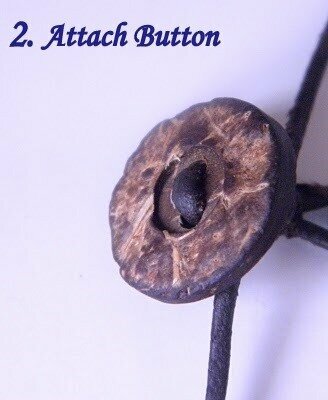 At the end of a loop for fastening a button. The visit to gynecologist - how to prepare?